What's the best way to get Apple to do a non-warranty repair on your bricked or broken iPhone or iPad? Simple: tell the truth. I have seen all kinds of schemes cooked up by people who have done something ill-advised to their devices. They have a strategy. They know how to fool the liquid sensors. They have a story for the dent they couldn't pound out. They play innocent when their product is mysteriously bricked. They have a plan for every contingency. When all else fails, they make noise, complain to the manager, write angry letters to SJ and the media. Finally, they post on internet forums and try to win in the court of public opinion. Well, I'm here to tell you, there is a better way. Last night, I called the local Apple store to tell them I had bricked my iPad. I made it clear that it was my fault. They told me to go ahead and bring it in anyway and made an appointment for that night. When I was called, I repeated that it was bricked because of something that I did, and just hoped they could reset it. They gave me no guarantees, but promised to try, and try, they did. After about an hour, they told me that it was as good as fried. I thanked them and did my best to hold it together. My wife was also floored by the generosity of service. I know that if I had gone in with some lame story, I would have been out of luck. No need. This was not my first, such experience, but it was the most dramatic. 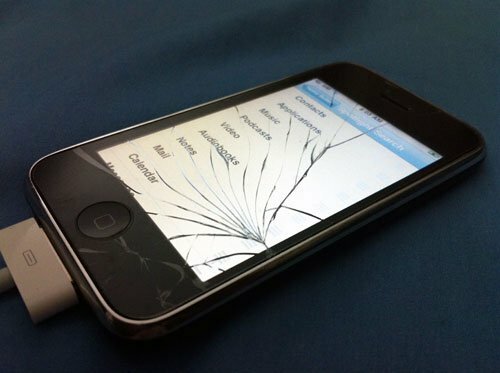 If you damage your device, don't try to hide the evidence, or make up a story. Just tell the truth. There is a reason why Apple keeps getting the highest scores for customer satisfaction. This is an official entry by dandbj13 in TiPb’s next top blogger contest. Think you have what it takes to join Team TiPb? Bring it!